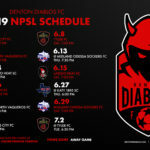 Born in the Spring of 2018, the Denton Diablos are a semi-professional soccer team based in Denton, Texas. 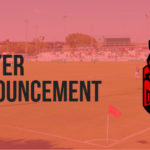 We’ll kick things off in the Spring of 2019 for our inaugural season with a league announcement to follow shortly. Season Tickets are on sale now, with some great packages available for our early bird season ticket holders! Thanks again for all your support and Vamos Diablos!